← Further Reductions during our Retirement Sale! Flash Sale! 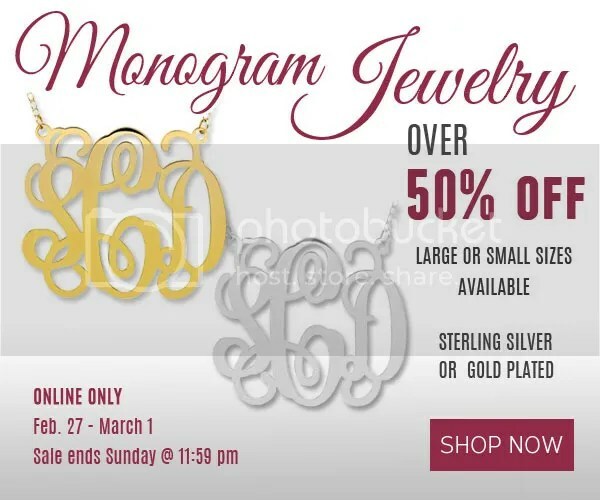 Monogram Jewelry over 50% off! Starting today we have our monogram jewelry over 50% off MSRP! They come in sterling silver or gold plated. Large and small sized pendants are available. This offer starts today, Feb. 27 and is good through Sunday, March 1 @ 11:59pm. This is an online only offer! Shop Now – Click here. This entry was posted in Jewelry, Sales and tagged flash sale, Jewelry, monogram, monogram jewelry, sale. Bookmark the permalink.